Molded Stand keeps dispenser upright to avoid damage and workplace hazards. 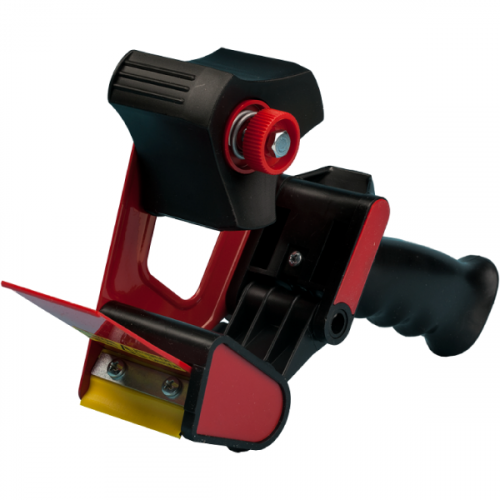 Ball shaped PVC handle for operator comfort. This deluxe, heavy-duty, all-steel stretch wrap dispenser is perfect for hand applying stretch wrap around pallets or bundles. 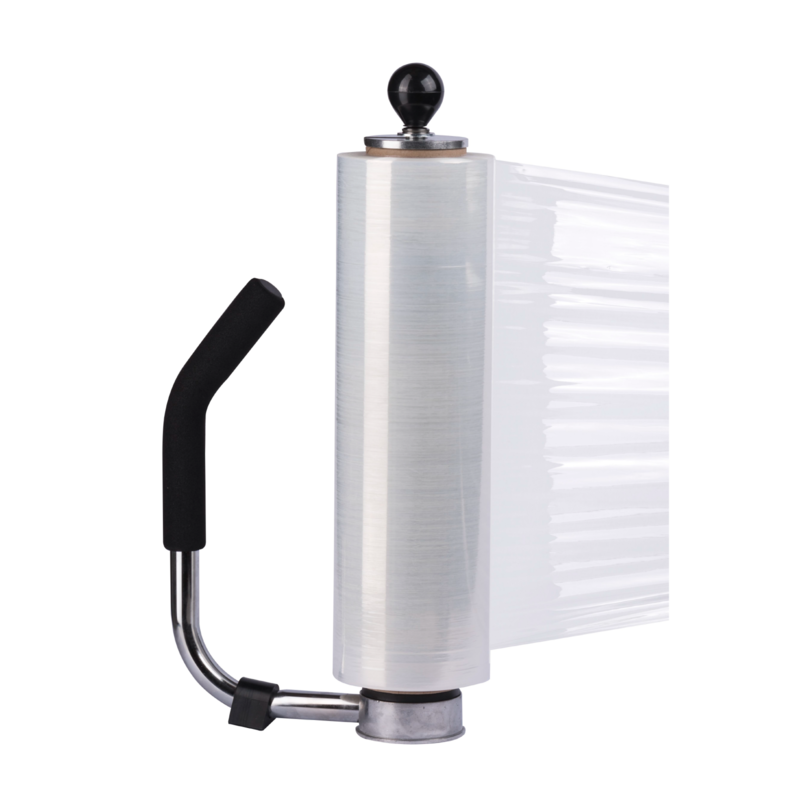 Able to handle rolls of stretch wrap from 12 inch to 20 inch width on a 3 inch core, this dispenser uses ball bearings between the roll caps to assure consist and controllable tension. 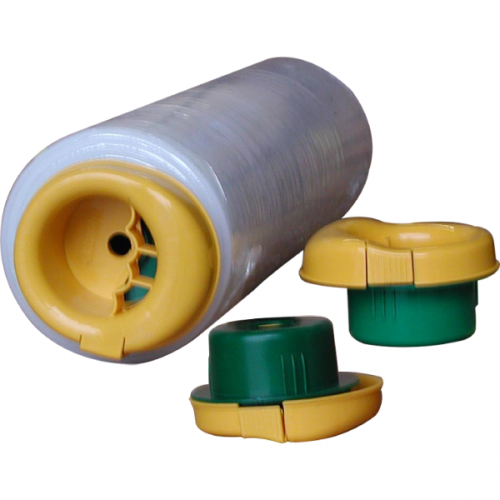 ball grip on top for operator comfort, unique stand keeps the dispenser upright and avoids damges, lightweight and easy to use, this stretch wrap dispenser has a PVC ball shaped handle for operator comfort and all day productivity.